Develop the future now! Innovation World Cup® partners provide their development kits to participants of the IOT / WT Innovation World Cup®. How to get them? Simply register for the 11th IOT/WT Innovation World Cup® here and fill in the submission form with all the required details. 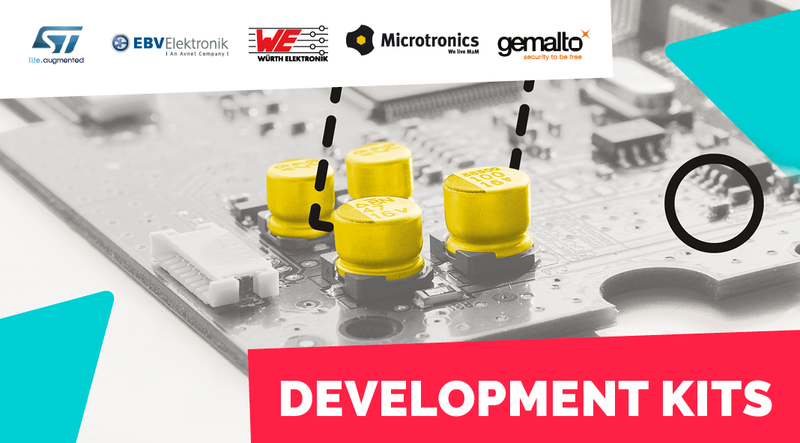 You will have the unique opportunity to order one of the software development kits provided by the Innovation World Cup® partners STMicroelectronics, EBV Elektronik, Würth Elektronik, Microtronics, and Gemalto free of charge directly via the submission form! Below you will find a description of the development kits including links to the websites of the different partners. STMicroelectronics is making the STM32 Open Development Environment available to participants for free. For more information please refer to: www.st.com/stm32ode. STM32 Nucleo boards provide an affordable and flexible way for users to try out new ideas and build prototypes with any STM32 microcontroller line, choosing from the various combinations of performance, power consumption and features. The Arduino™ connectivity support and ST Morpho headers make it easy to expand the functionality of the STM32 Nucleo open development platform with a wide choice of specialized expansion boards. The STM32 Nucleo boards do not require any separate probe as they integrate the ST-LINK/V2-1 debugger/programmer. The STM32 Nucleo boards come with the STM32 comprehensive software HAL library together with various packaged software examples. The X-NUCLEO-IDB04A1 is a Bluetooth low energy evaluation board to allow expansion of the STM32 Nucleo boards. It is compatible with the Arduino UNO R3 connector layout, and is designed around BlueNRG, a Bluetooth low energy, low power network coprocessor compliant with BTLE 4.0 and the BALF-NRG-01D3, an ultra miniature balun optimized for ST BlueNRG RFIC, which integrates matching network and harmonics filter. The X-NUCLEO-IDB04A1 interfaces with the STM32 MCU via SPI pin, and the user can change the default SPI clock, the SPI chip select and SPI IRQ by changing one resistor on the evaluation board. The X-NUCLEO-IKS01A1 is a MEMS inertial and environmental sensor evaluation board system. It is compatible with the Arduino UNO R3 connector layout, and is designed around STMicroelectronics’ LSM6DS0 3-axis accelerometer + 3-axis gyroscope, the LIS3MDL 3-axis magnetometer, the HTS221 humidity sensor and the LPS25H pressure sensor. The X-NUCLEO-IKS01A1 interfaces with the STM32 microcontroller via the I2C pin, and it is possible to change the default I2C port. The X-NUCLEO-NFC01A1 is a Dynamic NFC tag evaluation board to allow expansion of the STM32 Nucleo boards. It is compatible with the Arduino UNO R3 connector layout and it is designed around the M24SR64-Y. The M24SR64-Y device is a dynamic NFC/RFID tag IC with a dual interface. It embeds a 64 Kbit EEPROM memory. It can be operated from an I2C interface or by a 13.56 MHz RFID reader or a NFC phone. The board is powered through the Arduino UNO R3 connectors. It also includes three LEDs for general purpose. Get more information at www.st.com/stm32ode. HERACLES 224G is an all in one solution, real direct IoT and plug and play. It combines low power, low throughput LTE modem, a GPRS/EDGE modem, a global satellite localization system and a pre-paid data package with a European footprint. Its development kit, the HERACLESUINO 224G enables the design of a connected application in a few steps. It includes all the necessary features of most of mobile and non-mobile IoT applications. It can be operated from a Lithium- Ionbattery, a DC power supply or a USB source. gyroscopes, ambient light, pressure and magnetometers sensors. The AMBER PI Design Kit by Würth Elektronik eiSos is a plug-in board for the Raspberry Pi 3B, which equips the Raspberry Pi with the sub 1 GHz interface from Würth Elektronik eiSos. The integrated sensors (temperature, humidity, air pressure, and movement) as well as the supplied radio stick, which acts as a counterpart to the AMBER PIs, allow the user to develop a variety of creative applications based on the Raspberry Pis. 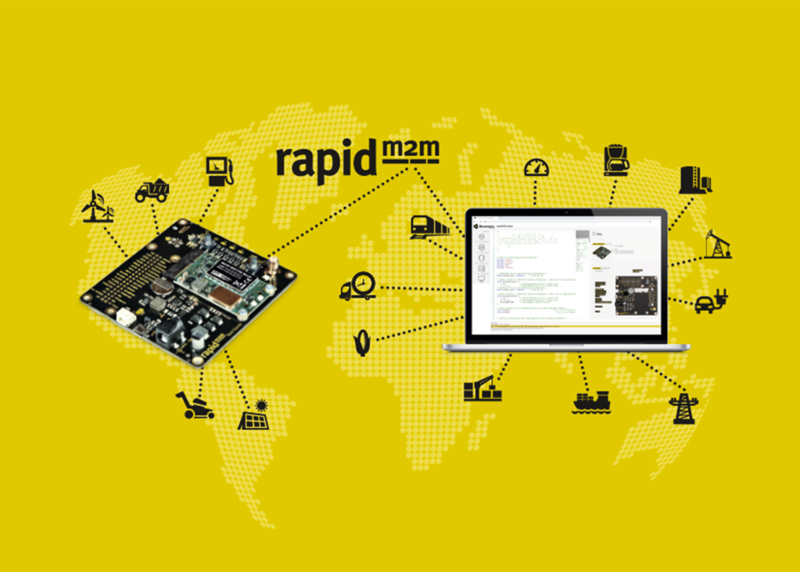 The rapidM2M Base Starter is a complete package for embedded developers as well as machine and device manufacturers. It enables the easy creation and testing of M2M/IoT applications for data recording and control. The core element of the package is the intelligent rapidM2M M22x WIFI/3G EU module that can be programmed by the user. The communication module is particularly suitable for applications where energy consumption is the main focus. A variety of microcontroller interfaces as well as different sensors are available to record data. The connectivity (Wi-Fi, 2G/3G) to the central server is fully managed. The rapidM2M M22x WIFI/3G EU is fitted with the rapidM2M runtime environment ex-works and is fully functional. By registering for the IOT/WT Innovation World Cup® 2019/20 you have the opportunity to qualify for one of two Gemalto development kits, either the proven Cinterion® Concept Board or the Cinterion® Connect Shield. The Cinterion® Concept Board provides a simple environment with everything a developer needs to quickly transform creative ideas into the next trendsetting solution for the Internet of Things and is the perfect companion to get started with M2M. 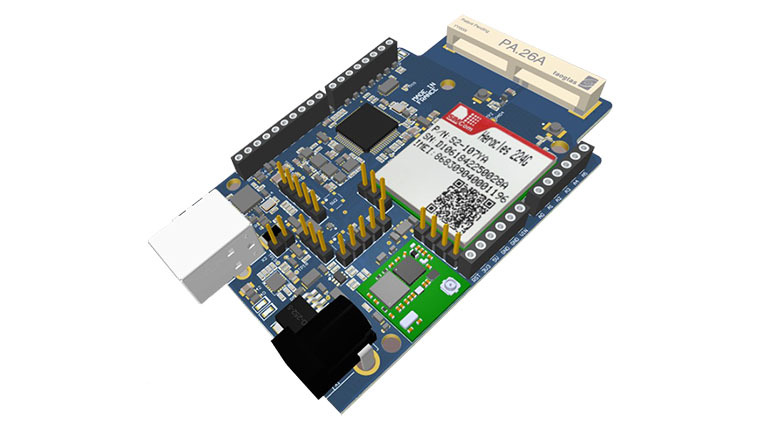 The development kit connects with Arduino-style sensor boards for super-fast prototyping and features a Cinterion EHS8 Java-powered module (Java ME 3.2) for global 2G and 3G cellular connectivity. It now also features GPS. The Cinterion Connect Shield is an easy-to-use maker board that combines the widely used Arduino platform with Gemalto’s trusted cellular connectivity. Designed for professional developers, inventors and tinkerers alike, the shield is a powerful tool to simplify hardware and software integration and quickly transform ideas into prototypes in just hours. Mounted to an existing Arduino board, it gives inventors of all levels the opportunity to play in the global cellular ecosystem and experience its benefits, diversity and scalability first hand. Designed to help first time IoT developers, experienced hobbyists and seasoned M2M OEMs alike, the Gemalto IoT Developer Community is an extensive online resource providing a single source for tools, reusable code, knowledge, expert advice and community support covering all the core components of the cellular IoT value chain. Jump start your IoT innovation project by visiting the Gemalto Developer Community for 24-7 support, tutorials, and success stories.